The Dallas Cowboys play on a short week tomorrow, facing the rival Washington Redskins on Thanksgiving for the third time since 2012. Winners of two straight to even their record at 5-5, the Cowboys need to be in must-win mode against the 6-4 Redskins still. The Cowboys recent wins at the Eagles and Falcons showed signs of this offense turning the corner. Though this short week presents new challenges to the offense, the Cowboys personnel changes have worked to their benefit. One such change was the promotion of Marc Colombo to offensive line coach. 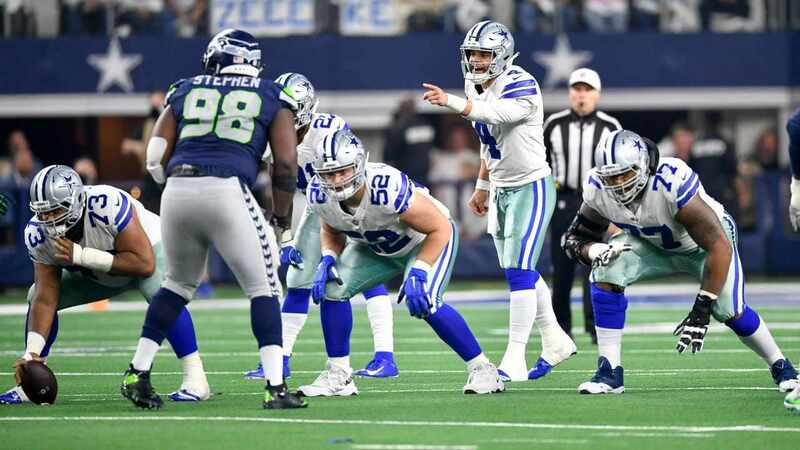 The Cowboys offensive line immediately elevated their level of play under Colombo, despite dropping his first game at home to the Titans. 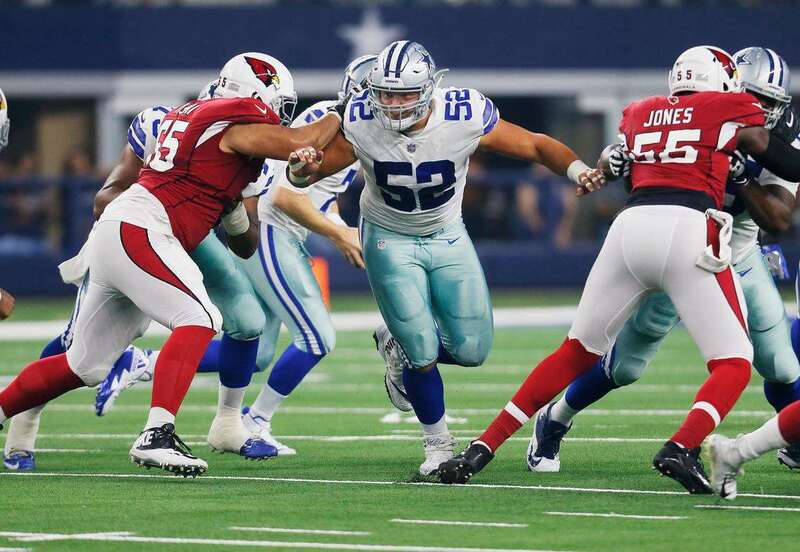 This was the last game rookie Left Guard Connor Williams started. Suffering a knee injury that kept him out two weeks ago in Philadelphia, the Cowboys turned to their depth signing in Xavier Su'a-Filo. With so many other changes on offense, including the addition of Wide Receiver Amari Cooper, it's difficult to measure Su'a-Filo's true impact at the LG spot. The experienced starter has outplayed Williams in two starts, most recently with Williams healthy to play in Atlanta. The Cowboys still have plenty of reasons to believe that Williams will be a great player for them, and may even have an opportunity for the second round pick to get back on the field as soon as tomorrow. With Geoff Swaim injured at tight end, the Cowboys are likely turning to another rookie in Dalton Schultz. The Stanford product has flashed in limited opportunity as a blocker this season, but like his fellow TEs on the roster offers little in the passing game. Lining Williams up at tight end in "Jumbo" formations may be an outside-the-box solution for the Cowboys. 41% (89 of 217) of the Cowboys hand offs this season have come with Swaim on the field, showing this offense will still need to value the TE position in the running game. Schultz has played just 31 run snaps this season, compared to 211 for Williams. The collegiate left tackle has struggled where Su'a-Filo has thrived at left guard. Anchoring against bigger, stronger defensive tackles was not Williams' strength in eight starts. Using Williams for down after down against even more athletic and faster edge rushers is not the way for the Cowboys to instill confidence in their 50th overall pick. 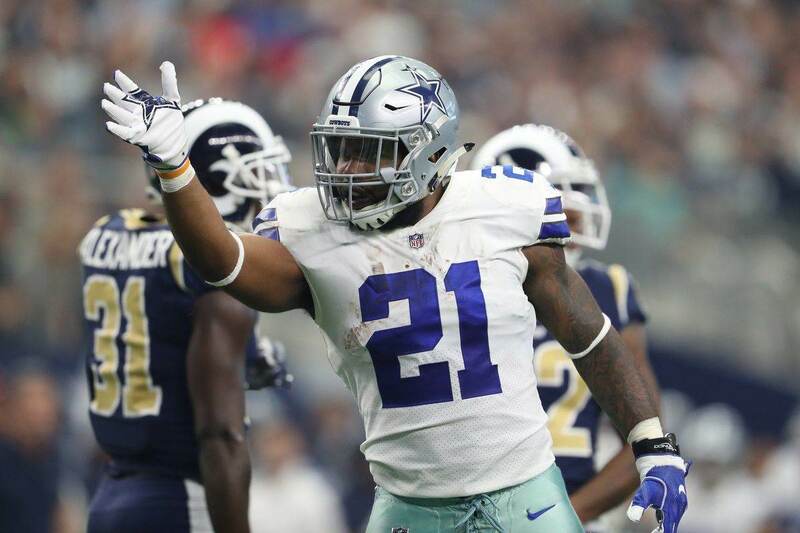 With much more experience blocking on the end of the line of scrimmage, Williams could still prove a serviceable tight end when playing on the move and opening holes for Ezekiel Elliott. Surviving an injury scare in Philadelphia, Zack Martin has powered the Cowboys running game as his usual self ever since. The trio of Martin, La'el Collins, and Williams on the right side of the Cowboys line is a potentially devastating one to the Redskins defense Thursday. The Cowboys don't have to look far to find linemen that have performed at tight end before, with starting Center Joe Looney playing in this role at times last season. 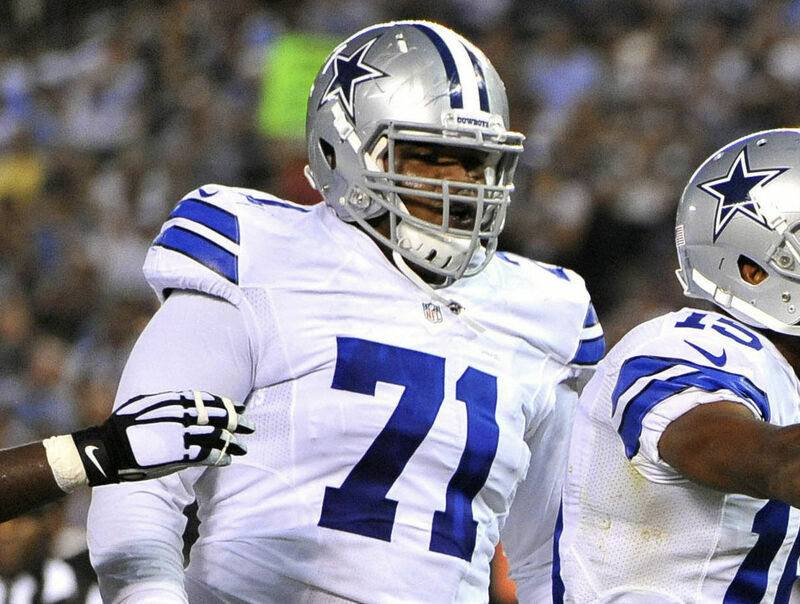 With all respect to Looney, who has filled in exceptionally for Travis Frederick, the Cowboys have bigger long-term plans for Williams. Keeping a young, healthy player off the field for the remainder of the season could be damaging to this outlook for Connor. Allowing him to play just a few snaps at tight end feels like an ideal way to keep him involved but maintain the Cowboys identity in the running game without further personnel changes. Behind Schultz, and before Williams, the Cowboys remaining options at tight end are Rico Gathers and Blake Jarwin. Gathers is much more of a receiving threat than a blocker, with the same likely being true of the seldom-used Jarwin. Marc Colombo has been a fantastic addition to the Cowboys coaching staff, most importantly bringing experience to a relatively new staff at the positional level. First year tight end coach Doug Nussmeier is looking for answers quickly at his position, and may just find them from the surplus of depth at the team's best position. Tell us what you think about "Could Connor Williams Be Option at Tight End for Cowboys?" in the comments below. You can also email me at Sean.Martin@InsideTheStar.com, or Tweet to me at @SeanMartinNFL!